The action-packed conclusion to the seven book series The Undead World! The people of the Estes Valley have found their peace destroyed as they are attacked by the single greatest army left in the world. 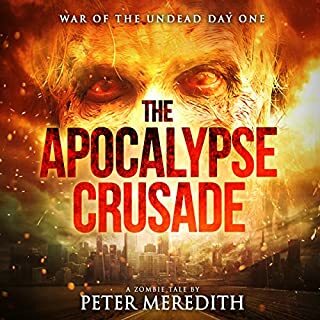 Not only do they have to contend with an army of men equipped with the latest hi-tech military gear, they also have to battle a horde of undead half a million strong. But, perhaps worse than all of this, they have to deal with a seven year old girl - Jillybean. Cruelly coerced into helping her enemies, Jillybean bends her mind to the destruction of the valley, the death of kings, and the loss of her own soul. And when Jillybean puts her mind to something there's no saving it, ever. Against this overwhelming force is pitted the iron in Grey's muscles, the quickness of Sadie's feet, the determination in Deanna's steel blue eyes and...and small and weak Neil Martin, whose greatest gift is seeing the good in people and ruthlessly killing them if he has to. 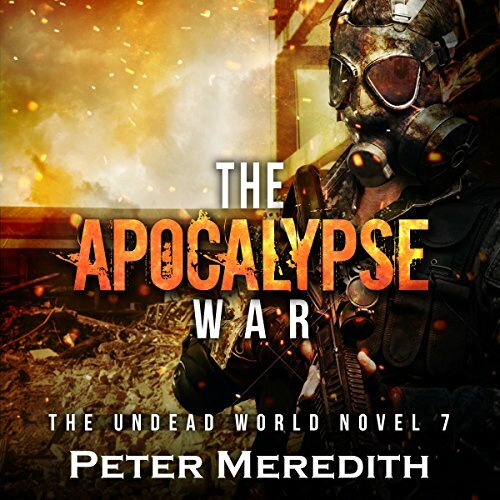 The Apocalypse War is upon them and survival is all that matters. 4-6 were a bit rough. This book brings back the tense and complicated horror of the apocalypse. Well narrorated, as always. Great book ! The series gets better and better. 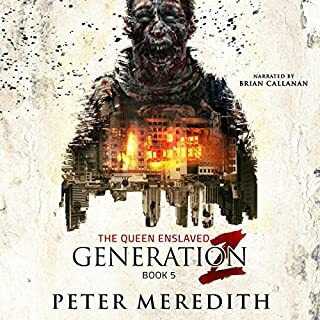 Peter Meredith is an excellent horror writer. It kept me on the edge of my seat the entire book. I can't wait until the next one comes out. Enter this incredible journey at your own risk. Read/listen of the most incredible example of character development. I LOVED THIS SERIES. Buy these books so thi writer will keep writing. The blistering pace and unrelenting action of this book will make it hard to put this one down! Peter has done a wonderful job building these characters into people you actually care about and when one character finds themselves in a precarious position you not only worry about their safety, but the impact it will have on the others' psyche. Even the terrain becomes sort of a character in the way it is described and used as both a tactical advantage and an obstacle. A lot of detail went into the ingenious tactics used by both the soldiers of Colorado and by the Azael which is, imo, the highlight of the story. The Jillybean story line is as heart rending as anything I've read from Peter and the rest of our apocalypse family shows what can be accomplished when you fight for each other and can be summed up by this quote from the book: "No greater love than this, that a man lay down his life for his brothers" ! This one has everything folks! From drama to intrigue, to zombie blood and guts to all out modern warfare and everything inbetween! So,if you like non stop thrill rides, you will not be let down, as this lives up to it's title: WAR! Wow! What a great book, and a hell of a way to tie up the series! I wish I could magically forget them all so I could listen to the whole series again. Very well written and does well to keep you on your toes constantly. I hope that he writes more in this series, there's so much more that can be said about the undead world. CAN'T SAY ENOUGH GOOD THINGS ABOUT THIS SERIES! I am lucky enough to have started this series after they had all been released, so I just get to start the next one after the one before it ended. Good thing!! I don't know how people SURVIVED waiting for the next book! This is so good, I just don't know where to start. I think Jillybean might just be the best character EVER! Brilliant. I am such a fan of this series, I could listen to it over and over again... .forever. IT'S AMAZING. On to #8! This book in the series took me a lot of places that I really didn't want to go. What the main characters go through in their day-to-day already makes me feel every emotion in MY day-to-day (anxiety is real), so to add other characters, their points of views, their trials and tribulations, and their ends absolutely killed me. What constantly pulled me back to a happy face, to HOPE, was their unending loyalty, their fearlessness, and their bravery in the face of doom right around the corner. However, no matter their plight, I saw HUMANS doing what we do in times of need. This is just a great yarn. 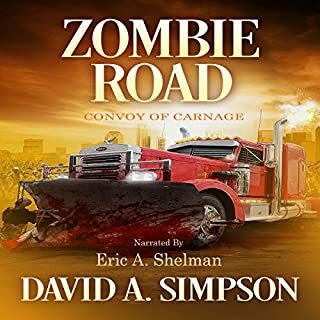 While I do not consider myself a devotee of the zombie apocalypse genre (I have a few books but can't say I'm a fan) I am a Huge fan of this series and by extension, this author. Regardless of the core topic, zombies, this is just a great yarn told by a Master story teller. I Loved this series so much..that I listened to the first 7 books and have just purchased the 8th...consecutively. I've never listened to this many books of a series ...consecutively...ever. I usually take a break after the first 3 or 4. I...could...not...stop...following...this...story! 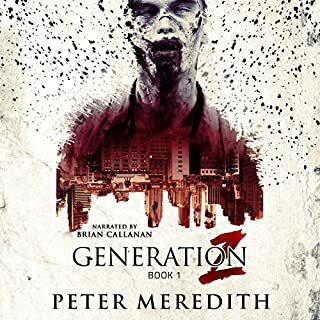 it is a 'bang bang 'shoot em up' so if you're not into that kinda stuff you will not like it...but if you are,( zombie fan or not a zombie fan, ) you are missing out if you fail to check out this series/author. I kid you not, this is a great series. well done Mr Meredith. very well done . this was the best book so far! the plot was as up and down as the rocky hillsides of Colorado, that the renegades tired endlessly to protect. a home was FINALLY found, to soon be taken from them....or not! Is this really the last one Peter and Basil? I want more, although wanting more is the best way to leave a book I suppose. I'm going to start from the beginning again and hope by the time I've finished there will be another book telling us how jillybean progresses, Neil and Sadie find love (but not with each other of course) and the valley faces more zombie and baddy danger. Please? I love these books and can't wait for the final instalment, though I don't want them ever to end! Jillybean breaks my heart but I'm hoping she gets the happy ending she deserves in the last book. Narrator does an excellent job too! 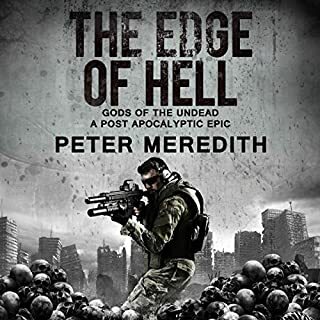 I absolutely love this series of books by the brilliant Peter Meredith. Cannot wait to start listening to the next, am completely hooked. The story just gets better and better. I am so thrilled there is another story to go on to. I have struggled through this series hoping it would improve. The story itself is fantastic but the characters are extremely frustrating, how they can continually get themselves captured by the bad guys due to their idiotic actions, beats me. Great character development and stunning plot turns. 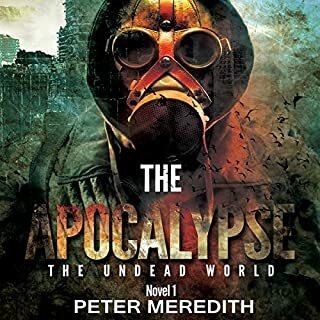 A very different end of the world/zombie novel with unexpected twists that keep you on the edge of your seat.